Contains herbs traditionally used to support the urinary system. Juniper berries are found on the evergreen juniper shrub, which grows widely throughout the Northern Hemisphere. The berries’ nutritional profile includes quercetin, proanthocyanidins and volatile oil. 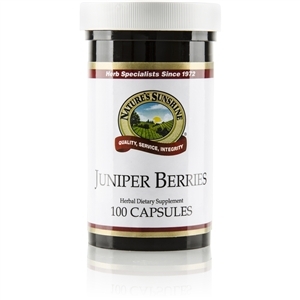 Juniper berries have traditional uses known to support the urinary system.